This past week was eventful to say the least around our house! We went to the doctor on Wednesday morning and just before midnight that evening we welcomed our baby girl! She ended up being born on what seems to be a popular date of 12/12/12, she made it just 23 minutes before the end of the day. I won’t lie, the hospitals were PACKED; however, for us we were not planning on that day but it worked out well! So, what does this have to do with Bigelow Tea? We knew that this weekend would be full of family members coming and going to visit our baby girl. So, we decided to make Moravian Tea Cookies and have them along with Bigelow Tea available for guest as they stopped by. 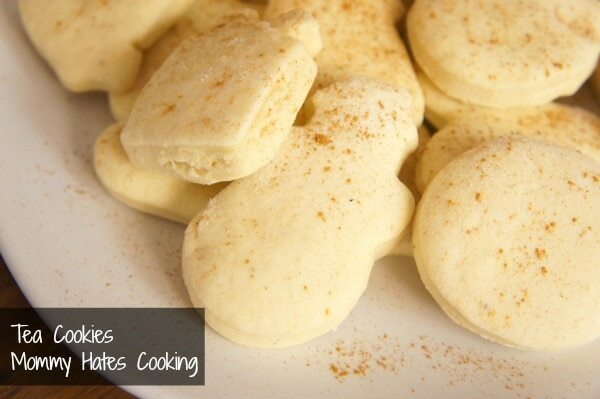 These cookies paired perfectly to make a great tea time, plus a great way to get acquainted with our baby girl. I set out the cookies, which I actually prepared in advance and had them in the freezer ready to be served! I simply thawed them out and they were just as tasty as being fresh out of the oven. 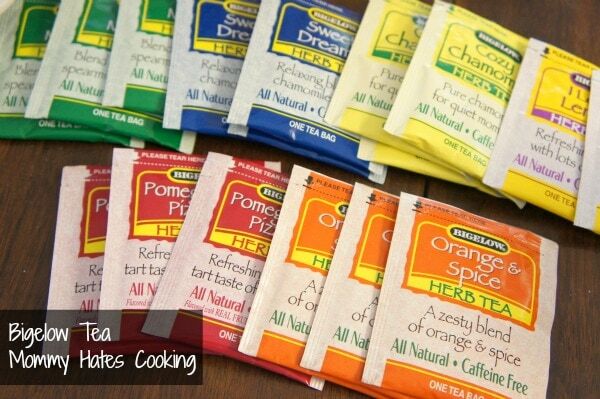 Then, I laid out all the tea choices to make a perfect pair! 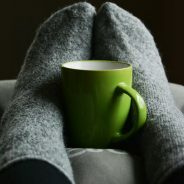 I thought Bigelow Tea was perfect for this occasion because not only was I able to purchase a variety of tea to serve, but they are a family focused company. I thought sharing this tea and cookies as we welcome a new member to our family made the perfect tea moment! My mom was first up to enjoy the tea and cookies. She was beyond impressed with both, she also thought the cookies paired well with the tea. 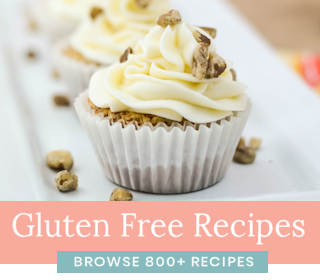 Did I mention I made them gluten free too? Yes, I needed cookies too! 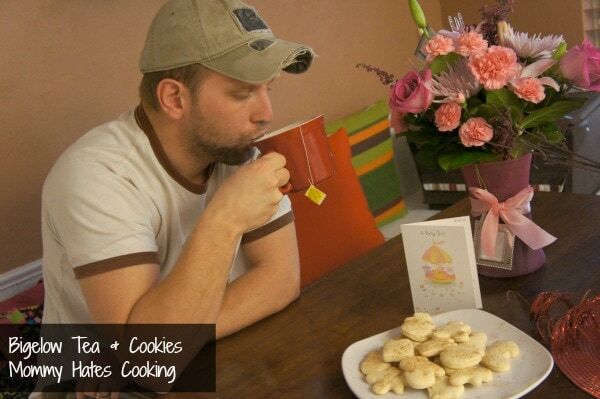 My husband also decided to test out the tea and cookies, which he loved too! He had a hard time deciding which tea to go with but ended up with a lemon herbal tea. 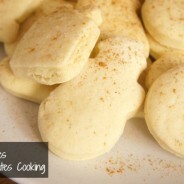 I think the lemon tea goes well with these cookies since they have a hint of lemon too! Cream butter in large mixing bowl or stand mixer, then gradually add in all remaining ingredients. At this point, I let the dough chill for 1-2 hours in the fridge. Roll dough to 1/8 inch thickness on a floured surface then cut with cookie cutters. Place 2 inches apart on a greased cookie sheet. Bake at 350* for 8 minutes or until lightly browned. Cool on wire racks. This makes about 5 dozen. Sprinkle with additional nutmeg and cinnamon and serve. After all that tea and cookies it was time to snuggle up with our new bundle of joy and share some precious moments as a family! 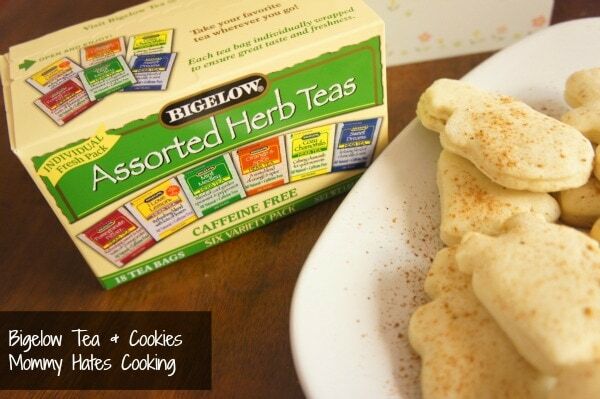 Find out more on Bigelow Tea on their Website, Facebook, or Twitter at #AmericasTea! 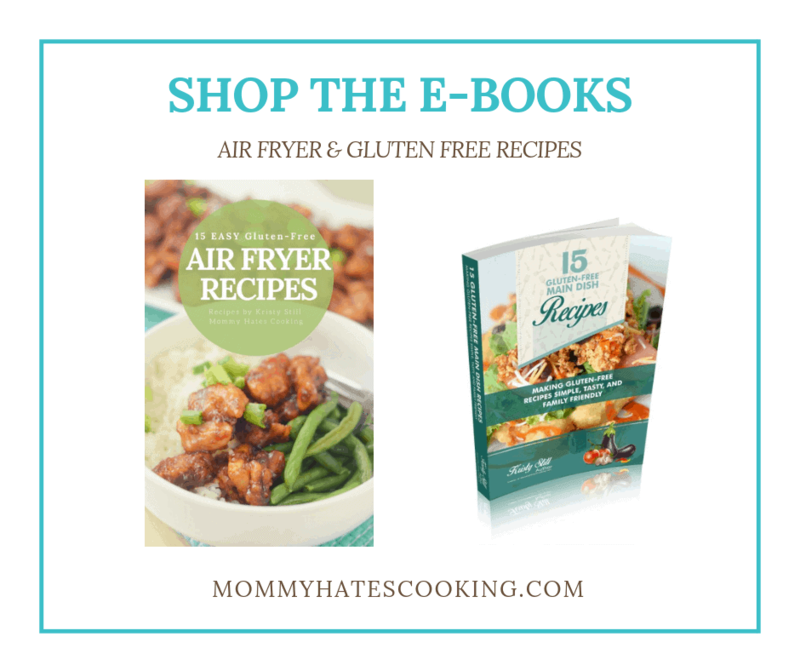 This post has been linked up on Eat at Home Cooks. I am a member of the Collective Bias® Social Fabric® Community. 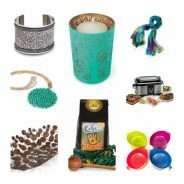 This shop has been compensated as part of a social shopper insights study for Collective Bias® and Bigelow Tea #CBias #SocialFabric #AmericasTea. All thoughts and opinions are my own. You are amazing! 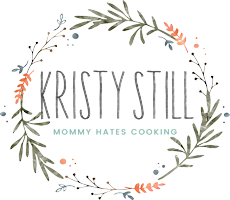 You just had a baby and had cookies ready to serve guests! Wow! 🙂 I’m so impressed. Congratulations on the birth of your baby girl! My daughter was born 12/14/11, so she just turned a year old. 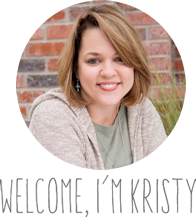 Congratulations, Kristy! And I couldn’t think of a better, more soothing treat to enjoy while family is stopping by to meet a new little one! Your cookies look wonderful and love the photo of your husband and your mom. And, gotta, say, very cool on the 12/12/12 birthdate! 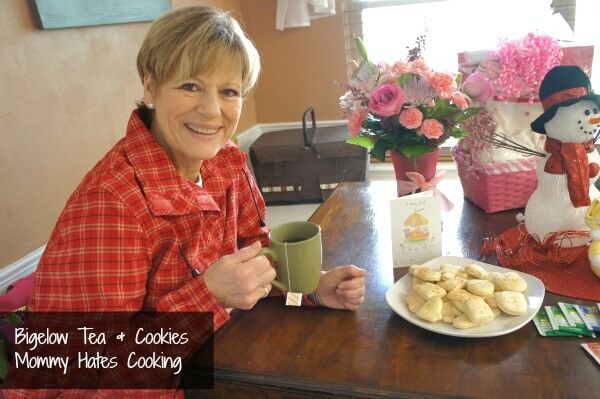 Congrats, and those cookies look delicious, I love baking with tea, especially Bigelow!